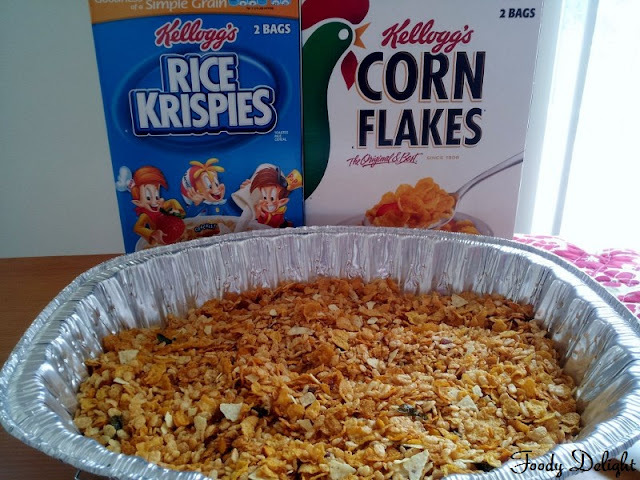 Take a big size foil tray or any oven proof tray. 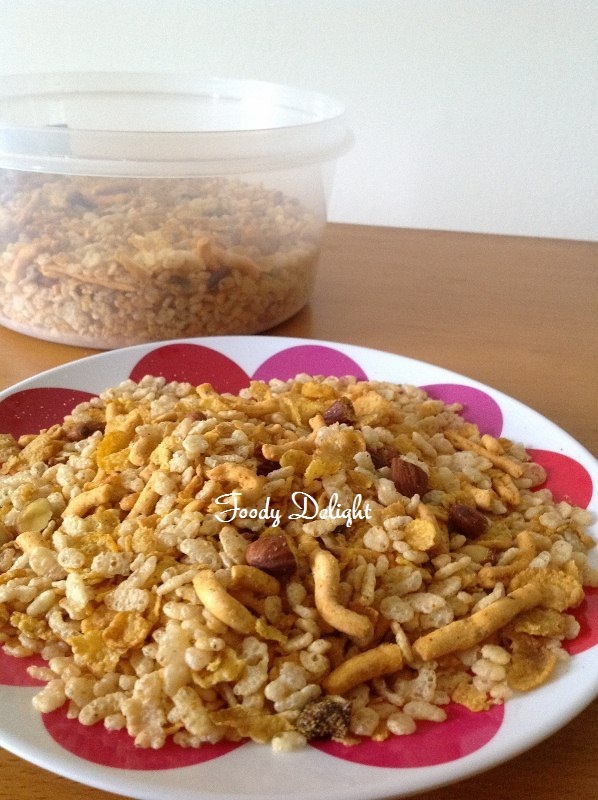 Mix the cereals and crush them a little. Preheat the oven to the lowest temperature about 170 F.
Heat the oil into one pan and add chopped almonds and peanuts. Fry them for 5 minutes. Then add fennel seeds and curry leaves. Stir well. 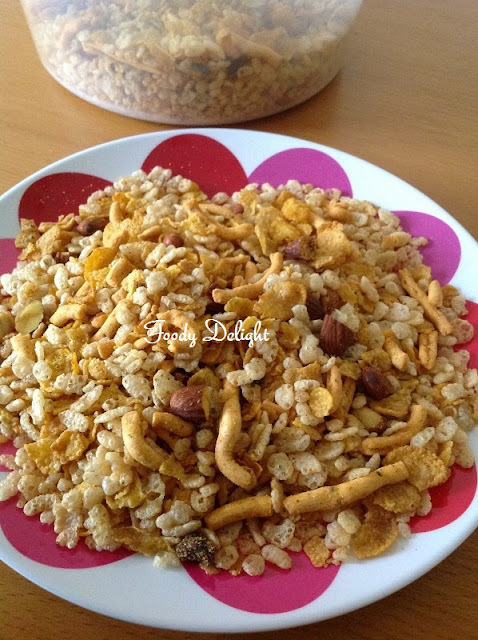 When nuts are light golden in colour.Add all dry masala powder,sugar and salt. Fry it for a minute. Pour this mixture into the cereal mixture.Mix everything well. Place the tray in the oven and bake the chivda for an hour. Stir the chivda occassionally in between. After 1 hour take out the tray from the oven and allow it to cool. Mix the spicy sev in the chivda. When chivda cools down completely.store it into air tight container. 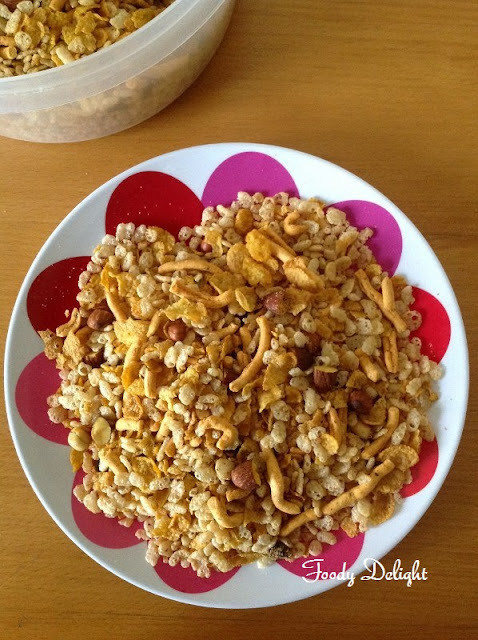 Definitely super crunchy munchy chivda,feel like having some.